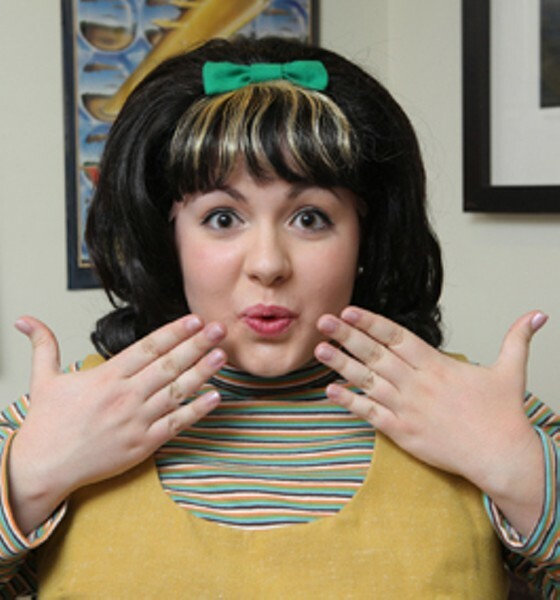 In the Tony-winning musical Hairspray, opening next week in a Mountain Play production at the massive outdoor Cushing Memorial Amphitheater on Mount Tamalpais, a free-spirited teenage girl from Baltimore named Tracy Turnblad wins a spot on her favorite television dance show—and ends up changing the lives of everyone around her, as well as her own. To a degree, the same thing is happening with Kimberly Swanson, who won the role of Tracy Turnblad after auditioning with dozens and dozens of other young actresses. "I do feel that Tracy is pretty iconic," Swanson tells me, "because she's an everyday girl who gets her dream of being on a TV show, and she ends up achieving equality for that show by getting it integrated." Set in the early 1960s, a major part of Hairspray's story involves the efforts of black teenagers to be allowed to dance on the show alongside white teenagers, an effort Tracy becomes passionately involved in as she befriends a group of African-American kids at the local record shop. "Though Tracy is pretty iconic," Swanson continues, "I can't say I've felt like an icon yet myself—because, you know, I'm just . . . myself. I'm just a simple girl from Novato High School." Directed by James Dunn, the rock-and-roll-fueled show follows many unique conventions established in the original Broadway show, particularly with casting a man in the role of Edna Turnblad, Tracy's housewife mother who finds her own life changing along with her daughter's. In the Mountain Play production, Edna is played by Joshua Castro (a Mountain Play veteran who last year delighted audiences in the role of Nicely-Nicely Johnson in Guys and Dolls). "I feel a little like Joshua is my mother, at least during rehearsals," Swanson laughs. "I'm by far the youngest cast member in the show, so Joshua watches out for me, takes care of me. He's a very nurturing, loving guy. So it's like he's my mom, whether he's dressed as a woman or not." Asked to describe the show for anyone who's been living in a cave and has never heard of Hairspray, Swanson says, "Oh, I think everyone's in for a treat. There isn't a dull moment in this musical. You are instantly pulled into 1962 Baltimore. There's a song in the show called 'You Can't Stop the Beat,' and this show, the beat literally never stops. It's just a blast." 'Hairspray' runs Sundays at 2pm from May 22 to June 19 at the Cushing Memorial Amphitheater on Mt. Tamalpais (shuttle busses available and recommended). $30-$40. 415.383.1100.